Sitting at a big wooden farmers table with Luigi Aldrighetti, the winemaker of Le Bignele in Valpolicella, and his family, I could not help but feel part of their clan. There we were, with Luigi’s daughter Silvia leading us through a wine lunch at their home (aka winery) that was adjacent to their vineyards. 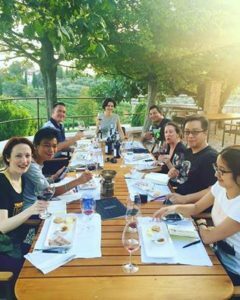 Silvia was fluent in English, unlike her father, so she was able to translate the conversation of her father to those of us on a press tour visiting the stunning area of Valipolicella in Verona, Italy. After our tour of their winery’s appassimento room aka drying room, where the process of drying grapes for the area’s iconic wine Amarone takes place (Le Bignele uses the more traditional wood boxes), and a fun stroll in their vineyard, we sat down for a lovely luncheon prepared by Silvia’s mother. We had to quickly sit down once called since one of her dishes was risotto, and risotto waits for no one…but it was worth the rush as the texture of this risotto was the best I have ever experienced, and I have eaten a lot of risotto in my lifetime! Silvia’s charming personality and beautifully spoken English made us feel right at home. I am still kicking myself that I did not take my own picture of this experience (I used a photo from someone else) , but I was living in the moment, enjoying my time with her family. Silvia’s uncle, Angelo, who was known to “live in the vineyards” made a last minute appearance. He was wearing a dirt covered tank top, with sweat on his brow, bowing his head as if he was embarrassed, and seeming as if he was asking if he could join the lunch in his work attire. That was funny, because it was ideal for us to see that he looked like he actually did live in the vineyards. A quick banter began back and forth between the two brothers, Luigi – the winemaker, and Angelo – the vineyard manager, shortly after Angelo’s appearance mid-lunch. Luigi was frustrated that he had to put on a nice shirt for lunch while his brother was able to wear his work clothes. That banter turned into Luigi asking Angelo if they would be ready to harvest soon, with Angelo answering “two more weeks”. 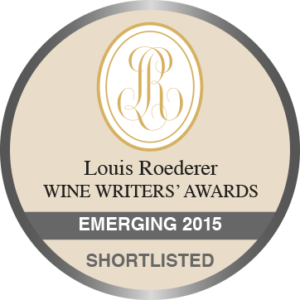 Luigi said it was always two weeks more than what he himself as the winemaker wanted. 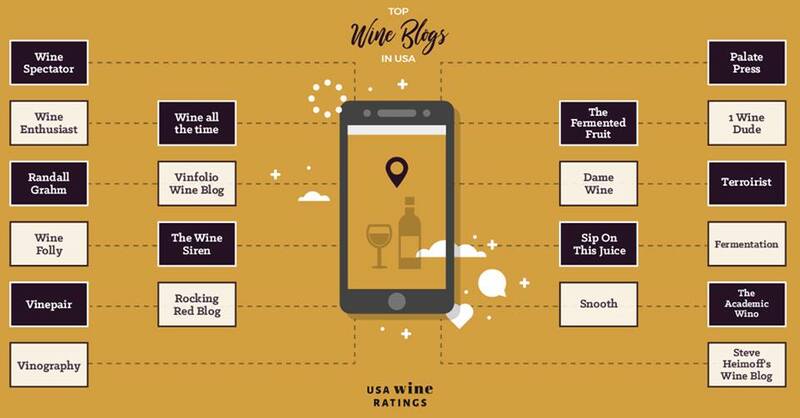 Of course this was all translated by Silvia, but even though I did not understand Luigi and Angelo’s words, I could see by their smiles and hear by their warm laughter that this was a conversation that they have had many times, and this is what they did – they were a true family winery. 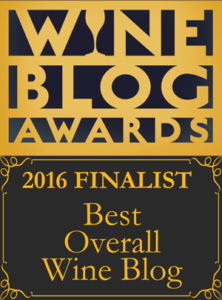 This is one of the many reasons I love wine – many times it is a family affair. I feel grateful each time one of these families invites me into their home to be given a snapshot of their way of life. As some of you know, I never had a “real” family in the conventional sense of the word. I was never able to connect with my biological parents or any blood that I could find. In the end, finding the truth of why this connection was not possible made me realize that I was better off not having those relationships. But I have always yearned…needed to feel part of something. I have always taken great joy seeing others have such a close family relationship, albeit complicated and never perfect. The family connection that is part of a winery’s past, present and future has always intoxicated me more than the beverage itself. My recent trip to Valpolicella was filled with this strong sense that many of the producers had such roots. Some producers had deeper roots than others, yet they were all gleaming examples of why wines from such classical areas become such quintessential symbols for a particular style – because of the support of their related predecessors and descendants. 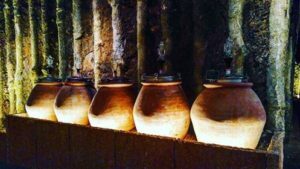 There are many family wineries that are still using old traditional methods in their vineyards and wineries. Even when the younger generation wants to incorporate more modern practices, it can be a struggle to get the older generation to agree with such changes. This may be frustrating, but please don’t let me give you the impression that older practices are necessarily bad. For example, Valpolicella’s iconic wine, Amarone, which is a big, bold, yet high acid and fresh wine, whose grapes were placed into traditionally wooden crates to dry, such as the ones Le Bignele uses, after harvest. The wooden crates are a great way to dry the grapes but because of practical reasons such as ease of cleaning, plastic crates have become more popular. And believe it or not, at one time they would have dried the grapes by holding up each bunch on stings – a timely and nowadays, cost prohibitive process that is rarely seen practiced. But since the plastic crate issue is more of the norm in Valpolicella, there are other ways they are pushing the envelope. One of them is the use of anfora. 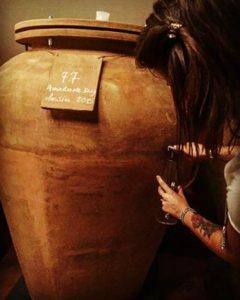 An anfora (amphora) is a jar of ancient design, with a narrow neck, typically used to hold oil or wine. Aging wine in anfora has been a time honored tradition in the country of Georgia, one of the oldest wine regions in the world. It has also been practiced by some great producers, such as Gravner, in Friuli-Venezia Giulia, another region in the North East of Italy. But as they like to say, what is old is new again, and some Valpolicella producers are breathing new life into this classic area. 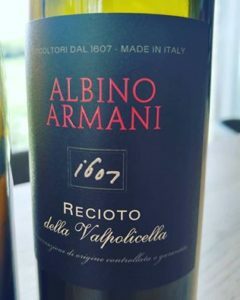 Our first winery visit of this trip was to Albino Armani, which was a family that could date back their winemaking to 1607, which is why they place 1607 on their labels to commemorate such an impressive lineage. Their winery in Valpolicela is very modern with a breath taking tasting room that looked over the Marano commune of Valpolicella. They were using anfora, which I thought fitting considering its association with the ancient as well as cutting edge styles, and they were a winemaking family that had been around for over 400 years yet their facilities were state of the art. Their anfora wine was going to be used for a sparkling wine that would be considered outside the Valpolicella appellation but it was still a sign of their innovative mindset. That innovation expressed itself also through their DOC Valpolicella wines. 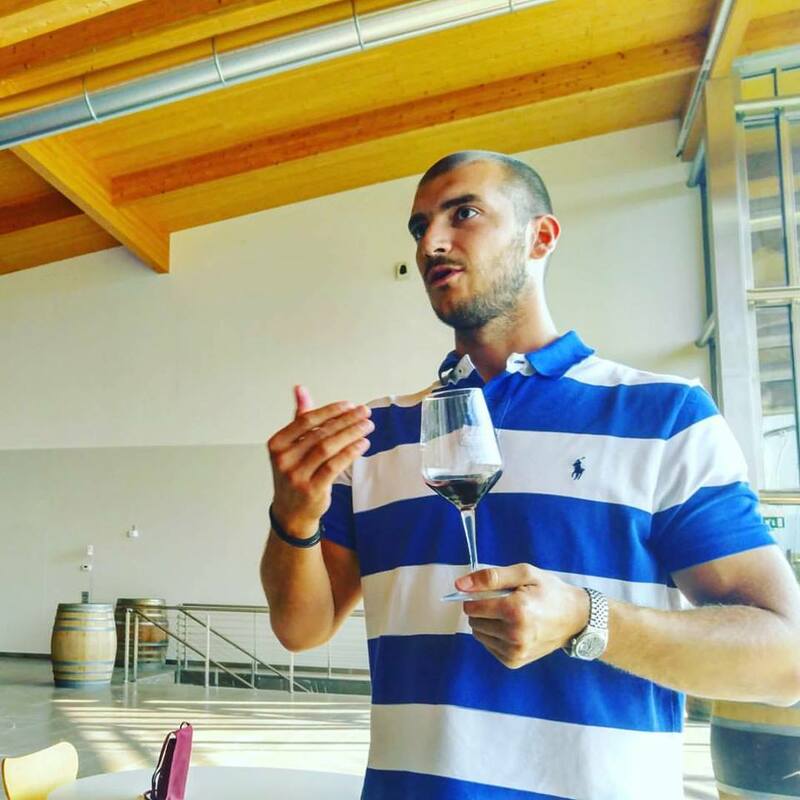 Later that same day it was perhaps serendipitous that we visited another winery that had a long family history yet was edgy with a youthful energy to play and experiment – Pietro Zardini. His lineage also went back to the early 17th Century with Leonardo Zardini, the founder of Pietro’s family, and he has sweet memories of spending most of his childhood with his grandfather Pietro, his namesake, in the vineyards and cellar. Those childhood recollections have shaped his winemaking to such a degree that he honors them by placing a picture of the Landini tractor that was passed down by his grandfather on a couple of his wine labels. 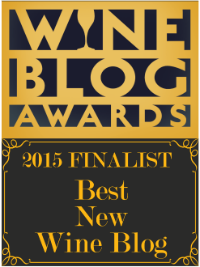 He too was using anfora, but in this case for their 2015 Amarone which we were lucky enough to taste. It was wild, with notes and flavors that I can’t even describe. That same wild quality was found a little in the other wines that we tasted – Pietro Zardini, a wild man with a deep respect for those who have come before him. The next day we visited the Monteci winery which is owned by the Righetti family who started making wine in 1909. 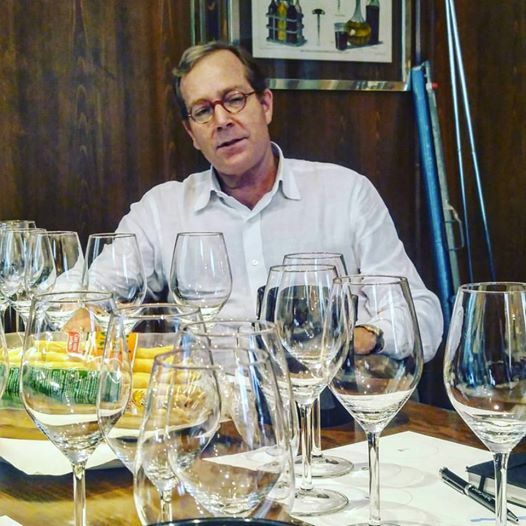 We spent our time with Francesco Righetti, family member and the winemaker. He was filled with enthusiasm to have us taste as much from tanks and barrels as from bottles, and showed variation in soils, vinification techniques and/or vintages. 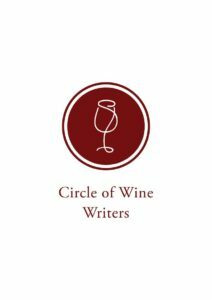 We tasted a 2015 Merlot wine in barrel that was made from grapes that were dried for four months. In 2011, Francesco interned at a winery in Saint-Émilion and is now determined to use traditional Valpolicella methods with the Merlot grape. It was absolutely delicious, rich and viscous yet with good structure and energy and extraordinary flavors that ranged from tar to tarragon. He was so excited to show us everything he could – I felt like a kid in a candy store running around with him and the group in the cellar, finding all the variant subtleties from the various vessels of wines. His wines expressed his enthusiasm and the nuance of subtlety that he seemed to be obsessed by. There were a couple of wineries with grand estates that hinted towards their Italian heritage being mixed with some Austrian ancestry from long ago. The Tenute Ugolini estate was certainly impressive in the scope and size of this antique colonial house. There were still Austrian touches of emblems here and there. 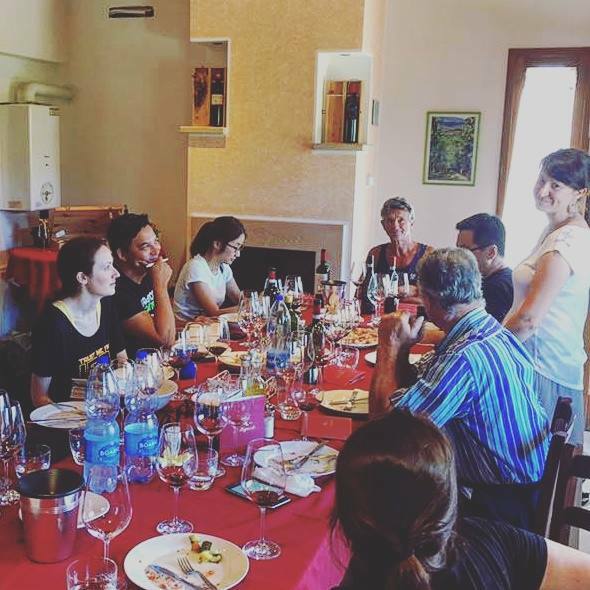 Even though our guide, Maria Juditta (the niece of the eldest brother of three, Giambattista Ugolini, who took over the vineyards when his father died 20 years ago) pointed out the Austrian touches, she insisted that the family was as Italian as Italian could be. Their Italian-ness was certainly evident when she sang an Italian aria to us while we sat outside, drinking their lovely wines on their magnificent property. And for those who are into organic practices, it is nice to note that her uncle started to convert to organic back in 1996 and they have even started using less copper as a fungicide, which although allowed in organic farming is still toxic, using garlic instead. The passion for preserving nature was noted in the wines with Maria’s music bringing our tasting pleasure to the next level. Another grand estate we visited was Villa Mosconi which is where the Bertani family makes their Tenuta Santa Maria alla Pieve wines. Gaetano Bertani now runs the estate with his sons Giovanni and Guglielmo. It was Giovanni himself giving us the tour of the property, which was originally built in the 1500s. Through time it became a place for the arts and sciences. For example, in 1880, the winery became the subject of a report that documented their innovative vineyard and winery techniques. During the mid-1700 and 1800s, a well known Italian poet, Ippolito Pindemonte, described their vineyards as “dear to Bacchus” and that sentiment was enhanced by their main building being adorned with Olympian Gods. We passed one hall that had a piano that seemed out of the times of Mozart. 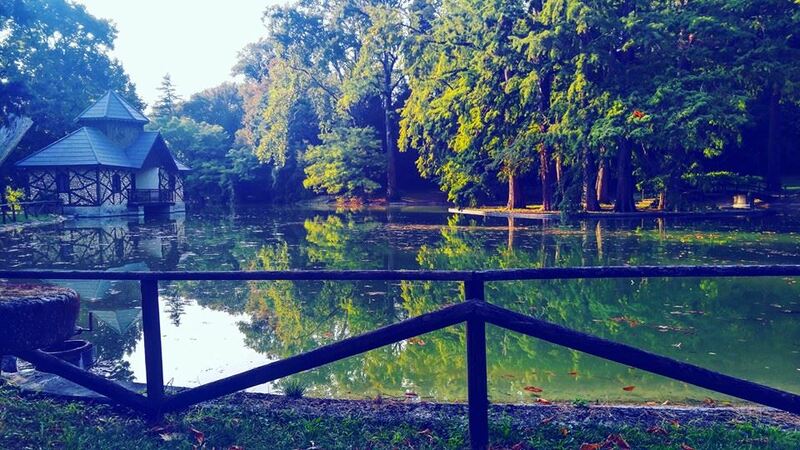 The hint of Austrian flavor was there, with a touch of Greek gods and English gardening sensibilities of tranquil lakes, rolling lawns with classical temples and bridges. Many in the US market probably know the Sartori producer. Their wines have good distribution throughout the US, and their label is one of the more recognizable Valpolicella labels. Andrea Sartori, President and great-grandson of the founder, talked us through an impressive tasting of their wines which showcased various projects that they were implementing to tailor their wines to express the individuality of the vineyard while respecting the wisdom passed down by centuries of Valpolicella producers. Their style is timeless and elegant, with the goal of bringing back those vineyard areas in Valpolicella that have been forgotten and neglected. Not only were the three Amarone wines we tasted that day (noted below) each uniquely superb in their own way while staying true to the classic style, their Valpolicella Classico Superiore “Montegradella”, selection of the best grapes coming from the Montegradella vineyard, had such a purity of fruit and gentle complexity that was astonishing for the lighter, and less seriously regarded, Valpolicella wines. I have made peace with the idea that I will never know what it is like to have family that is blood, but I have realized through time that family is not always those that have a common gene pool. Even though it was not my lot in life to be part of a rich family tree, I love hearing about the history and lineage of others, and I certainly feel grateful when a family shares everything about their ancestry with me because for a brief moment, I feel I am part of something bigger than myself. And I have to say, the Valpolicella family wineries, no matter the situation, made me feel that their home was my home and allowed me to share in the wealth of their glorious genealogy. Quick side note that Vapolicella wines are considered a lighter, more easy drinking wine, even though there are higher quality versions. Ripasso wines are more serious with its process including the addition of grape skins, from an Amarone or Recioto wine, to a Valpolicella wine allowing a second fermentation to create more body, alcohol, structure, aromatics and flavors. Both Amarone and Recioto wines are made from dried grapes yet Amarone is a seemingly dry wine and Recioto (less available on the market) is a sweet wine. 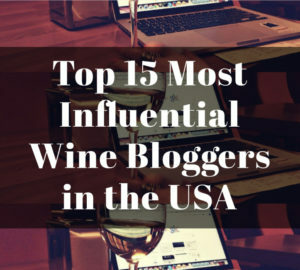 Amarone is a big, bold wine typically ranging from 15-16% abv yet the blend of grapes it uses gives it high acidity, lots of structure and incredible intricacy – Recioto is more moderate in alcohol, sweet yet has just as many layers of flavors. These are generalizations that truly don’t represent the full range of the styles, so for those interested in more details about the Valpolicella DOC wines, please feel free to go to the Consortium for the Tutelage of Valpolicella DOC Wines website. –2014 Le Bignele, Valpolicella Classico Superiore: Good structure yet soft tannins with deep aromatics of black cherries. -2013 Le Bignele, Valpolicella Classico Superiore Ripasso: Stewed cherries and plums with a touch of dusty earth. –2012 Le Bignele, Amarone Classico della Valpolicella: A savory wine with complex tar notes and sweet cherry in the background. -2014 Albino Armani, Valpolicella Classico Superiore, Egle: Old vines of Corvina, Corvinone and Rondinella. Cherry, spice, light and pretty. -2013 Albino Armani, Valpolicella Classico Superiore Ripasso: Old vines of Corvina, Corvinone and Rondinella. Dried cherries, blackberry, dried oregano, lots of acidity and structure. -2012 Albino Armani, Recioto della Valpolicella: Corvina 70% and Rondinella 30%. Cherry jam with lush body and cinnamon spice. -2010 Albino Armani, Amarone della Valpolicella DOCG: Corvina, Corvinone and Rondinella. A very textural wine with evident tannins and lovely floral note. -2014 Pietro Zardini, Valpolicella Classico Superiore: Corvina 65%, Rondinella 25%, Molinara 10%. Velvety texture with fresh red cherries and reminiscent of a meadow. -2012 Pietro Zardini, Austero, Valpolicella Classico Superiore Ripasso: Corvina 70%, Rondinella 20%, Molinara 5% and Croatina 5%. Smooth body with interesting hints of coffee and vanilla. -2011 Pietro Zardini, Amarone della Valpolicella: Corvina 70%, Rondinella 20%, Molinara 5% and other 5%. Smoky espresso with exotic spice and a long finish. -2009 Pietro Zardini, Amarone della Valpolicella, Riserva “Leone Zardini”: Corvina 70%, Rondinella 20%, Molinara 5% and Croatina 5%. Lush with lots of flesh on the palate with cherry pie flavors and oak and spice giving it more depth and complexity. 2009 was a big, ripe vintage, while 2010 was more fresh and restained. This wine is named after Pietro Zardini’s father, Leone Zardini. -2012 Pietro Zardini, Recioto della Valpolicella (sweet wine): Corvina 70%, Rondinella 20% and Molinara 10%. Residual sugar 130 g/l. Mulberry and raspberry preserves with a hint of underbrush which give it an interesting extra layer of complexity. -2015 Monteci, Valpolicella Classico: Corvina, Rondinella and Molinara. Nice balance and purity of fresh raspberry fruit with a fresh, clean finish. -2013 Monteci, Valpolicella Classico Superiore: Corvina, Rondinella and Molinara. An exotic cardamom spice with sweet cherry fruit. -2011 Monteci, Valpolicella Classico Superiore Ripasso: Corvina, Rondinella and Molinara. Violet and sandalwood notes with dried cherry flavor. -2010 Monteci, Amarone della Valpolicella: Corvina, Rondinella and Molinara. Red apple peel, cured meats and tobacco. Very complex and intriguing. All the wines come from specific designated areas: the grapes from Il Pozzetto (Fumane) are used for Valpolicella Classico, the grapes from Colle San Michele (Bure alto) are used for Valpolicella Classico Superiore, the grapes from Monte Solane (San Giorgio di Valpolicella) are used for Valpolicella Ripasso, the grapes from Valle Alta (Fumane) are used for Amarone Classico della Valpolicella and for Recioto della Valpolicella are used the grapes from Valle Lena. -2015 Tenuta Ugolini, Valpolicella Classico, Il Pozzetto: Corvina Gentile, Corvina Grossa, Rondinella, Molinara, Croatina and Ancellotta. A wine that was as pretty as the voice of the niece, Maria Juditta, who sang to us during our visit. Rosebud aromas and light body on the palate of the wine. Maria’s uncle, Giambattista Ugolini, said this is the most difficult wine to make because you cannot use age or oak to correct it. -2013 Tenuta Ugolini, Valpolicella Classico Superiore, San Michele: Corvina, Corvinone, Rondinella and the Oseleta. Refined notes with strawberry and pepper notes. -2013 Tenuta Ugolini, Valpolicella Classico Superiore Ripasso, Monte Solane: The only grape used in the production of this wine is the ‘Corvina Gentile’. Black peppercorns, cloves and stewed strawberries. Comes from a vineyard at the highest elevation that is allowed for this designation. -2012 Tenuta Ugolini, Amarone della Valpolicella, Valle Alta: Corvina Gentile, Corvina Grossa, Rondinella and Oseleta. This is their flagship wine. Cherry liqueur with cinnamon and nutmeg and smoky notes that hint at old volcanic rock soil. -2012 Tenuta Ugolini, Valpolicella Classico Superiore Ripasso, Monte Solane: The only grape used in the production of this wine is the ‘Corvina Gentile’, like its 2013 sibling. This 2012 was more herbaceous than 2013 with overall more earthy notes. -2013 Tenuta Ugolini, Recioto della Valpolicella, Valle Lena (sweet wine): Corvina Gentile, Corvina Grossa, Rondinella and Oseleta. Silky texture, elegant with sweet chocolate cherry flavors…still tight and so needs more time or a few hours decanting. -2014 Tenuta Santa Maria alla Pieve, Valpolicella Classico Superiore Ripasso: Corvina 75%, Rondinella 10% and Corvinone 15%. Blueberry muffin, licorice and spicy finish with a velvety texture and bright acidity. -2010 Tenuta Santa Maria alla Pieve, Amarone della Valpolicella: Corvina 75%, Rondinella 10% and Corvinone 15%. Rose petal with black berry and a wonderful overall elegance to this Amarone. -2012 Sartori di Verona, Valpolicella Classico Superiore “Montegradella”: 45% Corvina, 30% Corvinone, 20% Rondinella, 5% Croatina. Selection of the best grape bunches coming from the “Montegradella” vineyard estate. Pure cassis notes with juicy flavors and touch of sage. -2011 Sartori di Verona, Valpolicella Classico Superiore “I Saltari”: 60% Corvina, 20% Rondinella, 10% Croatina, 10% Corvinone. “I Saltari winery” is a project by Colognola & Sartori wineries. The aim is to continue to improve viticulture, winemaking and production of fame in the province of Verona also including a revaluation and restructuring of small wine producing areas. Very savory with BBQ smoke with intense black cherry and round tannins with nice flesh on the palate. -2010 Sartori di Verona, Amarone della Valpolicella “Reius”: 50% Corvina Veronese 30% Corvinone, 15% Rondinella and 5% Cabernet Shimmering ruby. From clay, calcareous soils. Rich on the nose with raisins and lilacs yet bright and light on the palate. -2009 Sartori di Verona, Amarone della Valpolicella “Corte Bra”: In a more Bordeaux type bottle 50% Corvina Veronese, 30% Corvinone, 15% Rondinella and 5% Oseleta. Only the best grapes are used for the production of the “Corte Bra” wine. Brambly berries with dried thyme on the nose yet lush, big, tannic with blackberry jam. This wine will be long lived. 2009 was a bigger, riper vintage. -2009 Sartori di Verona, Amarone della Valpolicella “I Saltari”: This does not have the richness or density of the Corte Bra but it does have a lovely refinement and structure that may be more appealing to those who want more subtlety in their Amarone. 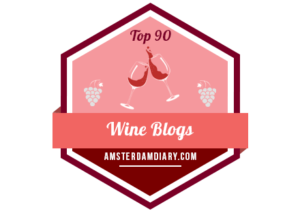 This entry was posted in Uncategorized and tagged Albino Armani, Amarone, Le Bignele, Monteci, Pietro Zardini, Ripasso, Sartori di Verona, Tenuta Santa Maria alla Pieve, Tenute Ugolini, Valpolicella, ValpolicellaBloggerTour. Bookmark the permalink.